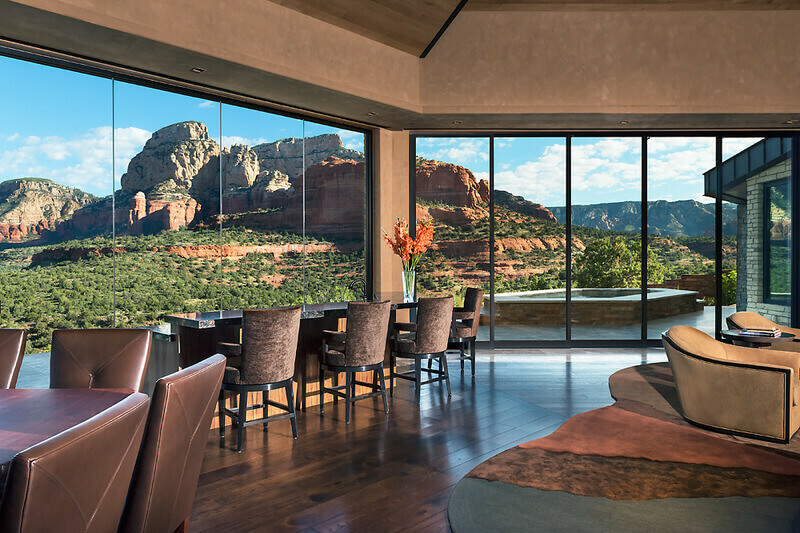 When it comes to windows and doors that seamlessly tie your home to the splendor outside, no one does it better than Fleetwood. Through superior design and engineering, Fleetwood builds the enormous with class and style. Where everyone else is limited by size constraints, Fleetwood consistently pushes the boundaries and re-sets the limits of what is possible. Each extrusion is treated with a proprietary process that reduces cooling lines (most visible in clear anodizing). Standard aluminum anodize is Class I compared to the half thick Class II. Standard aluminum paint is Kynar 70% compared to a 50% content or polyester and/or acrylic bases. Aluminum extrusions are produced within 30 miles of our factory. Demanding, yet rewarding dealer program that attracts the elite window specialists in each market. Thorough factory and dealer showroom training. Fleetwood ONLY posts the top 20% of its dealers online. Proprietary Snapshot software available to dealers for immediate pricing. “Archetype” A3 and A2 stainless rollers come with authentic Swiss bearings, assembled in California. Insert creates ideal concave/convex relationship. Insert becomes stronger as weight bears down whereas capped aluminum weakens. Insert creates separation of roller edges from aluminum. Patented “Archetype” sliding door hardware, designed and manufactured by Fleetwood. Exposed hardware is electro polished #316 stainless. Hinged doors come standard with FSB levers and escutcheon plates. Committed to excellence at all cost. – Built Better, not cheaper. In a world where the axiom says Less is More and then contradicts itself by the paradoxical Bigger is Better, Fleetwood windows and doors embrace both in a symphonic synergy of larger size options with sleeker, less obtrusive lines that you look beyond, not at. This entry was posted in Houston Doors, Replacement Windows Houston. Bookmark the permalink.